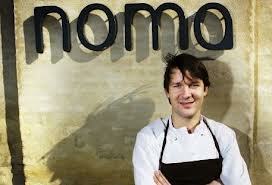 Chef René Redzepi’s restaurant noma displaced El Bulli as Restaurant magazine’s best in the world. The restaurant, located in Copenhagen, Denmark introduced foraging as a fundamental part of the menu. Local ingredients at noma include Icelandic skyr curd, halibut, Greenland musk ox, berries and water. noma celebrated the traditions of nordic/Scandinavian cooking and became the flagship of a new style of cooking. The restaurant went on to win the Best Restaurant in the World a further three times and remained in the top five through 2016. Redzepi subsequently toured the noma concept to other countries including the UK, Japan, Mexico and, in 2016, Australia. In each case the cuisine was adapted to take advantage of local ingredients. As of 2018, dinner at noma will set you back around $465 Australian, with a further $225 or so for paired wines. Alternatively you can opt for juice pairings at just $165.